We at NJ.Projects completed our 800th project since August 2010. Our portfolio includes worked for Top Billing in a win a study make over. Eight hundred houses is something to be proud of! LIKE our Facebook page to see our work. 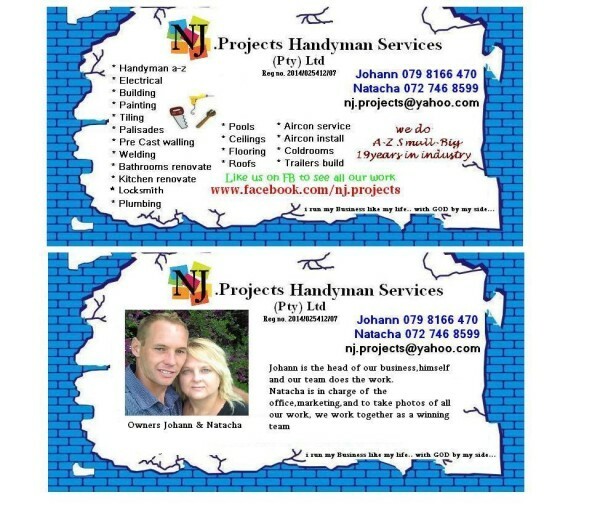 NJ.Projects services include: Handyman, Electrical, Building, Painting, Tiling, Palisades, Welding, Renovators, Locksmith, Plumbing, Pools, Ceilings, Flooring, Roofs, Trailers, Air cons.